Welcome to Unitarianism, a religion that celebrates diversity of spiritual beliefs and are guided by seven principles. Our congregation gathers together to inspire, to grow and to take social action. We always welcome newcomers to our Meeting House. Membership is completely voluntary and does not involve renouncing beliefs. 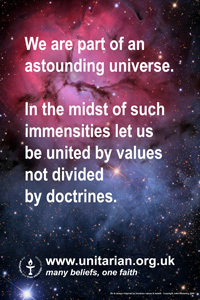 We invite you to explore our website and Unitarianism. You are welcome to join us anytime.